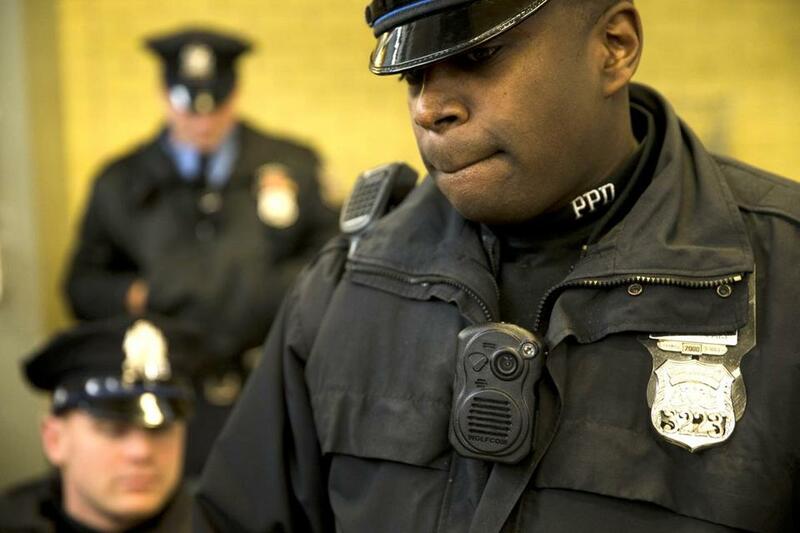 Philadelphia police officers demonstrated a body-worn camera as part of a pilot program. A proposal to equip Boston police with body cameras — a measure being tried in several major cities in the aftermath of police-involved shootings nationwide — will get its first public airing Wednesday in a City Council hearing, but the city’s top officials are taking a cautious approach to the contentious issue. Mayor Martin J. Walsh, who shifted his position on the issue last year, said he and Evans are considering participating in a pilot program, but he has qualms. Evans raised concerns over issues of constitutionality, privacy, costs, and the cameras’ effect on the department’s relationship with the community. Local law enforcement officials say there are serious issues to be ironed out. The deaths of unarmed black men in Ferguson, Mo., New York, South Carolina, and Baltimore at the hands of police during the past year have prompted community leaders and civil rights groups to demand more police accountability. Police in major cities like New York, Chicago, Detroit, and Washington, D.C., use body cameras or have participated in a pilot program. Boston City Councilor Charles Yancey sponsored the proposal to be heard Wednesday at 5 p.m. It was crafted by the citizen group Boston Police Camera Action Team. “Accountability is a very important requirement for any police department and in light of the national trend of instances where individual citizens have been subject to deadly force, it would be helpful to have documented evidence,” Yancey said. The proposal calls for all uniformed and plainclothes officers in the field — excluding undercover or off-duty officers — to wear body cameras on their lapels and record all interactions with the public. It requires officers, who would be responsible for turning the camera on, to ensure it is recording when they are responding to calls, pursuing suspects, at crime scenes, and during searches, arrests, and physical confrontations. Evans said he has been doing his homework on the issue, speaking with police chiefs across the country who have equipped their officers with the cameras and studying reports. He said the devices have been effective in recording problematic encounters and could improve job performance, but many questions loom. The proposal prohibits officers from using cameras during lawful protests, inside courtrooms, or when recording an interaction that could expose a confidential informant or undercover officer. 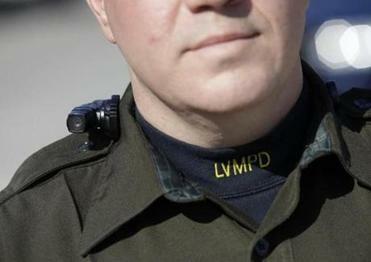 Officers who fail to wear or turn on the body cameras would be subject to disciplinary action. Requiring body cameras also may need the union approval, Evans said, since it would be a change in work policy. The American Civil Liberties Union renewed its call for body cameras last month after the release of a report that showed Boston police had disproportionately observed, interrogated, or searched black residents between 2007 and 2010. “The evidence is that using body cameras protect the public, and officer complaints go down, and use of force goes down,” said Matthew Segal, legal director for the ACLU of Massachusetts. The proposal does not specify where the videos might be stored or how much it might cost to implement the plan. Evans said storing the footage could cost the city up to $3 million a year. About 40 officers at a North Philadelphia police station, one of that city’s busiest and most violent, recently completed a pilot program. City officials there are now assessing it, and figuring out how they can outfit 4,500 patrol and specialized officers with body cameras. TASER International, which manufactures body cameras and a system to store the videos, sells the devices for $399 and $599. The company’s cloud service, Evidence.com, costs $15 a month per officer or $89 per month per officer with a lifetime warranty. But Yancey said the body cameras could save the city money by lowering the number of lawsuits filed against the police department, which paid $41 million to settle lawsuits and legal claims during the past decade. Some have pointed to the commissioner’s recent decision to share surveillance video with the public following two fatal police-involved shootings — including an incident in March that led to the death of a man who shot an officer in the face during a traffic stop. The other occurred in June when a knife-wielding man described as a terrorist was shot dead. The footage, gathered from surveillance cameras on nearby businesses, was grainy. Proponents say the body cameras would produce clearer and more complete videos. Wayne Sampson, head of the Massachusetts Chiefs of Police Association, said the group supports body cameras, but it helps when police departments have a solid policy in place. A handful of Massachusetts police departments are considering or have outfitted some of their officers with the devices, including Methuen, Abington, Gill, Springfield, and Worcester. State Police are considering a system that would include body and dashboard cameras. The Police Executive Research Forum, a Washington, D.C.-based nonprofit, released a report last year that reviewed body camera programs. “Giving officers cameras and just putting them out there is really counterproductive,” said Chuck Wexler, executive director of the forum. It’s unclear where the proposal stands among City Council members. Most councilors did not return calls seeking comment. Daniel Sibor, chief of staff to Councilor Josh Zakim, said the lawmaker is supportive of body cameras. “We’ve seen how effective it can be,” he said. Councilor Tito Jackson said he too is supportive of bringing the devices to Boston’s police force. In May, the federal government announced a $20 million Body-Worn Camera Pilot Partnership Program, which includes competitive grants for local law enforcement agencies. In Boston, some community leaders say officials should try a pilot program. Jan Ransom can be reached at jan.ransom@globe.com. Follow her on Twitter at @Jan_Ransom.